Do not let the always full parking lot at Pete's Family Restaurant intimidate you from stopping in at this hidden gem in the Town of Carthage. The food is that good and why they are #12 Of The 52 Reasons We ❤ The Sandhills! We love to go to Pete's Family Restaurant for breakfast. 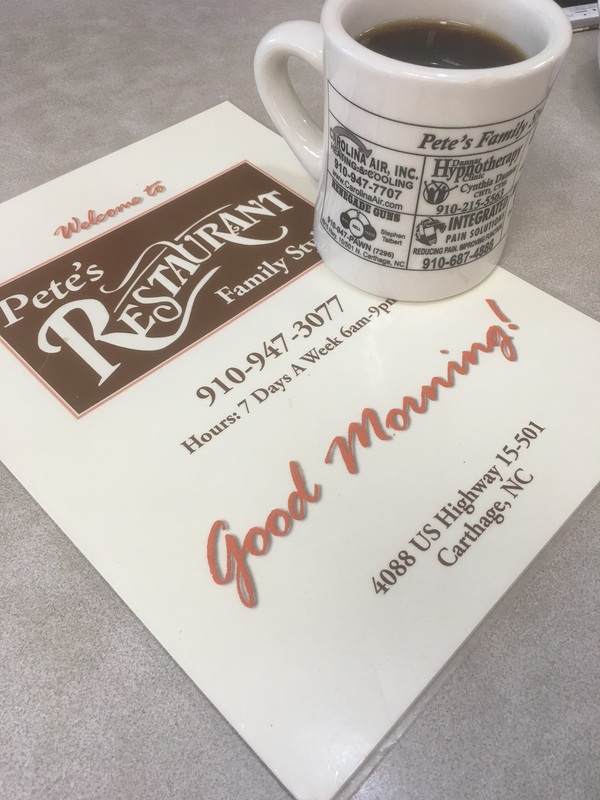 Pete's offers your standard home-style breakfast foods, but it must be how they cook it and the great waitstaff which makes it a favorite. Their scratch made biscuits will make your grandma jealous and asking for their recipe, and their cooked to order omelets and bacon keep us coming back for more!